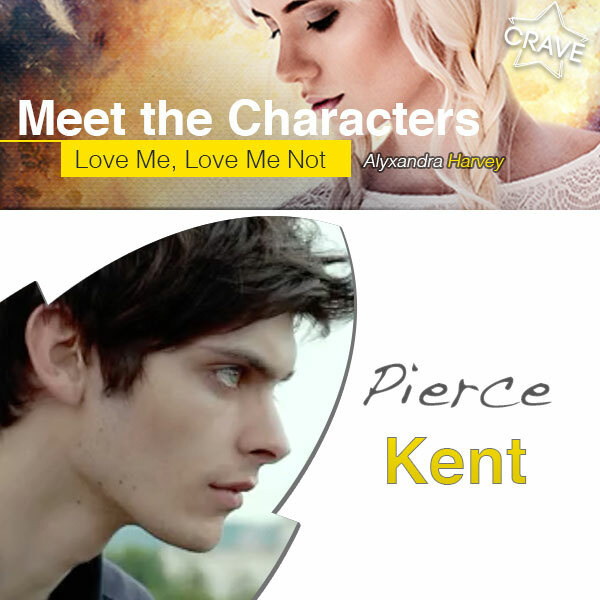 You Are Here: Home » Alyxandra Harvey » Meet The Character Interviews: Get up close & personal with Pierce Kent from Love Me, Love Me Not! How His Magic Works: Pierce doesn’t have any magical abilities. However his best friend is Ana Vila, so he knows all about her current and future swan girl powers and he’s also very aware of the Liv Renard and the rest of her family’s ability to shapeshift into foxes and their feud with the Vila family. 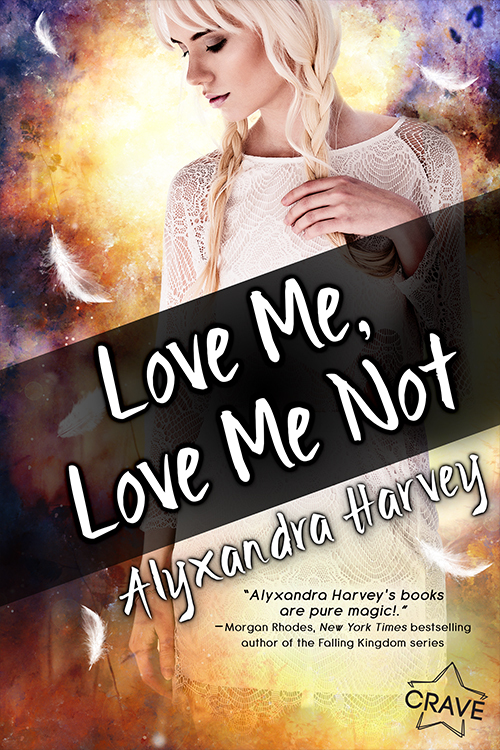 He would eagerly agree, however, that Ana is magical…and maybe not just because she is destined to turn into a swan when she falls in love. Anastasia Vila: Since we live in Stratford, ON, a city that loves Shakespeare, and my family and the Renards are embroiled in a Romeo & Juliet-style blood feud, I’ve got to ask, what’s your favorite Shakespearean play, Kent? Pierce Kent: Not Romeo and Juliet, that’s for sure. We’ve had a little too much of life imitating art, don’t you think? Anastasia Vila: Touché, Kent! If you could live anywhere, would it be our little town of Stratford, ON or somewhere else? Pierce Kent: I like it here. You’re here. Pierce Kent: Ouch, Vila. Playing dirty. You know I don’t like to play favourites. But A Game of Thrones, and novels by Neil Gaiman and Charles de Lint. And Agatha Christie. And Harry Potter. And… we could be here all day. Anastasia Vila: All of my younger cousins are in love with you…you know that, right? So why do you bother with me…a girl who can’t even talk to guys, let alone flirt with them like a Vila girl is supposed to be able to do? Pierce Kent: You’re Ana. Is there really anything else I have to say? Anyway, the only guy you can’t talk to is Edward, and I’m really okay with that. Anastasia Vila: How did you first come to suspect that there was something different about me and rest of the Vila women? Pierce Kent: Um, let’s see, when I saw one of your aunt sprout wings and turn into a swan? Well sort of. I only caught a tiny glimpse from far away. Still. Pretty hard to go back to normal after that. Thank God. Normal is overrated. Anastasia Vila: What came first – did you always believe in magic, or did your inside knowledge of the Vila and Renard clans’ shapeshifting magic make you believe in it’s existence? Anastasia Vila: If you could shift from your human body into any animal’s body, what would you choose and why? Pierce Kent: Maybe a hawk or a crow. Something with wings anyway, so we could fly together. But definitely not something my grandmother might shoot for dinner. Anastasia Vila: One day at The Shakespeare Café, you told me, Mei Lin, and Liv that you “know cute” in reference to guys. I have to ask, what makes a guy cute in your opinion if Edward isn’t it? Pierce Kent: Dude, I was just trying to point out he wasn’t all that great. I was ninja-flirting. Also, you were working yourself up into a fit. Anastasia Vila: In the mood for a little gossip…then let me know, what’s the most embarrassing thing that Jackson has ever said or done? Pierce Kent: 80s love ballads and air guitar in his underwear on the front porch. I may never be the same. Anastasia Vila: I know that your brothers, Jackson especially, can be quite a handful, but if you could wake up one day as an only child, who didn’t have to keep him under control anymore, would you? Pierce Kent: No. If you change one thing, everything changes. I’ve read enough books to know that. And what if that one change meant we never met? Besides, he’s family. Anastasia Vila: We’re best friends, and I think that we tell each other everything. Still, I need to know, do you have any secrets that you’ve never told anyone before? Pierce Kent: Of course. And no, I won’t tell you. Even when you look at me like that. Anastasia Vila: Super secret question – I’ve always wondered…are you related to Clark Kent? Or is Kent just a ridiculously common family name? Pierce Kent: Well, you are my kryptonite. “Why couldn’t I just like you?” Ana asked me. We’d been asking each other that since I discovered the part about true love and the gift of the swan wings. The cousins only got their feather cloak when they fell in love. And sisterly love or friend-love didn’t count, which I thought was totally unfair. We’d even kissed once, but we were twelve and had no idea what we were doing. Not a swan feather in sight, so true love was out of the picture. At least on her side.